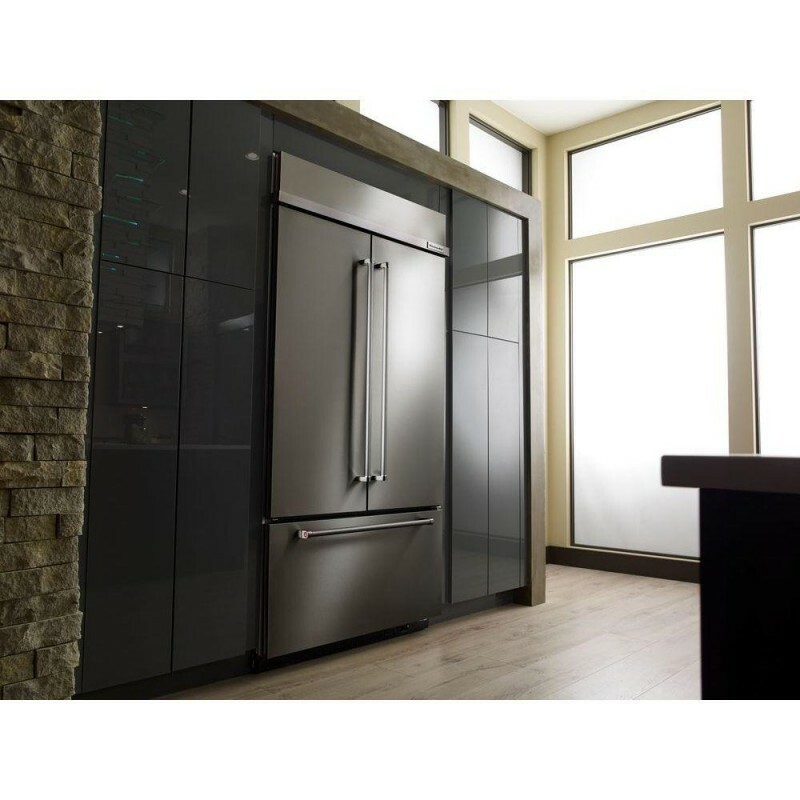 This built-in KitchenAid French door refrigerator with the Preserva Food Care System features three technologies that work in concert to assure crisp produce and deliciously flavorful foods while helping to eliminate refrigerator odors. The SatinGlide System with Soft-Close assures smooth operation of shelves, crisper, and baskets. 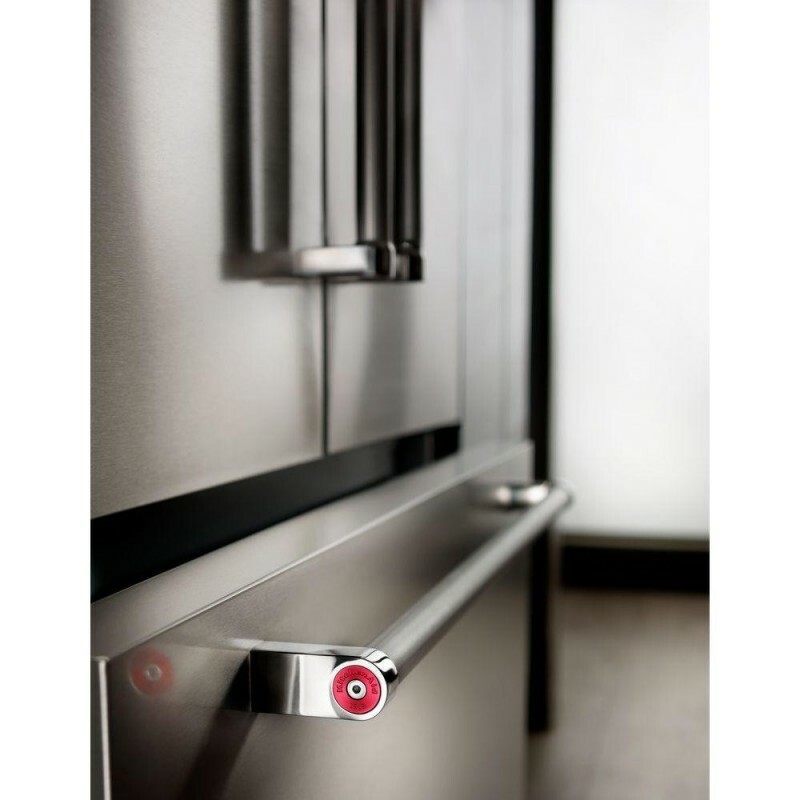 Bright LED lighting makes everything easy to find in this left-swing door refrigerator. 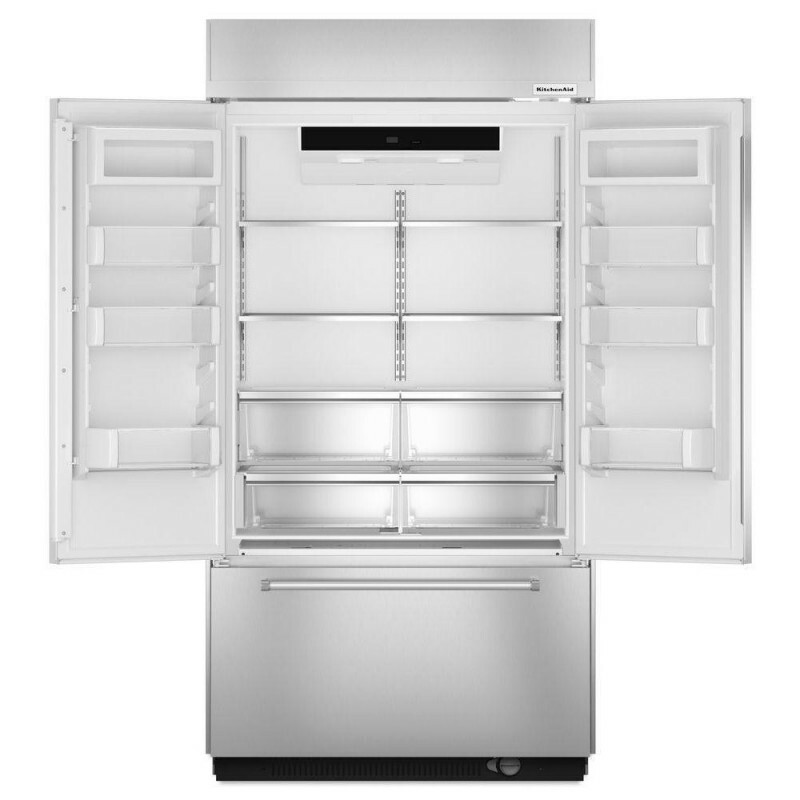 We own this model and we purchase it from Premier Appliance Store At a huge discount. We are very happy with our purchase and Premier AppyStore. Everything was done on time. Would recommend to anyone.